Thursday, I spoke up because of an actual hat. Dave Serwatuk, a quasi-judicial official, proudly displayed a Trump “Make America Great Again” hat while adjudicating matters during Thursday’s Committee of Adjustment hearings. The Committee of Adjustment is a quasi-judicial body which makes decisions on planning variances, including variances needed to start businesses. It is entirely inappropriate for any person adjudicating on quasi-judicial body to openly display any political paraphernalia. The reason is simple, in their role as the state, quasi-judicial officials represent all of us and our common ideals of justice and fairness. They must be above the apprehension of bias. 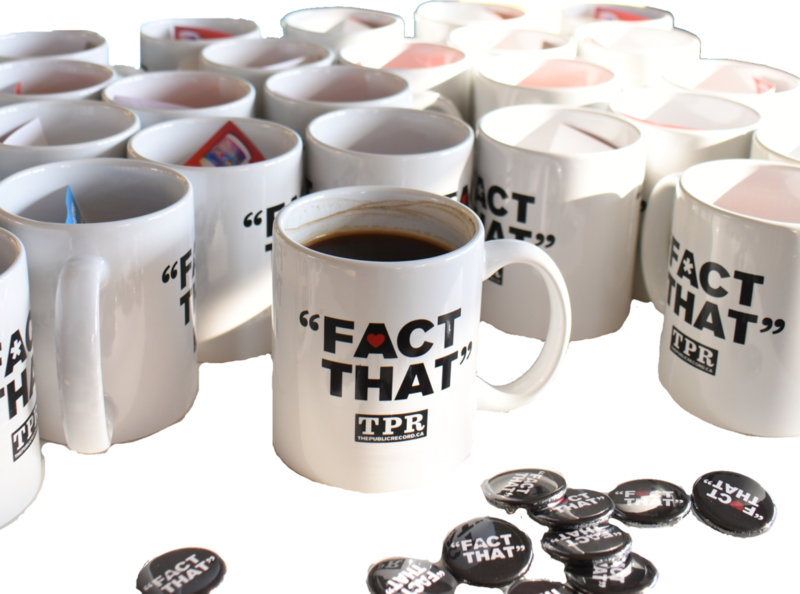 Displaying political messaging and paraphernalia creates the appearance of bias. Myself, I worn two of my ‘hats’ – that of independent journalist covering Committee of Adjustment, and also as representative of the Beasley Neighbourhood Association on an application in our neighbourhood. I noted Serwatuk’s display and explained its significance as a journalist. After nearly two hours of hearings, as others sat silent – only whispering about the hat -, I sat in front of the Committee representing the Beasley Neighbourhood Association. Admittedly, I debated if I would say anything about the display. I considered that I open myself to criticism that I was ‘making the news instead of reporting the news’. My fellow Beasley residents have entrusted me to speak on minor planning variances – by speaking to the hat, I was taking a position on behalf of the BNA. 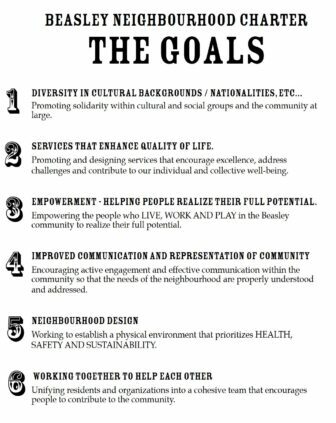 Yes, the Beasley Neighbourhood Charter’s first goal is “diversity in cultural backgrounds and nationalities”. I fulfilled my duty upholding our community values. While I debated if I would speak up, I didn’t debate what was the right thing to do. There are those in our community sincerely frightened and hurt by the statements made by Trump against Mexicans, immigrants, and Muslims. It doesn’t matter what Serwatuk meant to convey by displaying the hat, what matters is how somebody will feel seeing that message displayed in a quasi-judicial hearing. The Committee decides on people’s livelihoods. An immigrant – required to ask the Committee of Adjustment for a minor variance to open their new business – has their fate in that hands of this committee, how would they feel with that message in front of them? The words of Trump during the presidential campaign – and the hatred he unleashed – have no place in our society. I stand with my fellow community members, silence is not an option. The Chair stated he would let the member explained. Serwatuk stated “I’m a citizen” in explanation. Serwatuk declared a conflict of interest and left the room. Serwatuk says his display was meaningless, that he didn’t know about the incident with Justice Bernd Zabel, and that he had received the hat as a gift from this brother. He displayed the hat for over two hours before the Beasley Neighbourhood Association objected to a political display at a quasi-judicial body. It’s a damning indictment of City Hall culture that nobody in power spoke up, and applicants felt they couldn’t. This is an example of how it only takes one courageous person to light the way. Perhaps now, applicants feel they can speak up — and so do those who read this. Spread the word. Thank you for speaking up, demonstrating the courage as well as simply doing the right thing. The fact that you even had to explain your position is absurd. I feel a bit better because of both of you and everyone else remembering to thank Joey here. Thanks for being that one person in this instance. Thank you for speaking out, Joey. You use the word “proudly” to describe the way he had displayed his hat. Isn’t that bias? How can you objectively know that? It’s seems to me that you judged Mr. Serwatuk on the basis of an article of clothing? You’re quote is weak. Did you even have a conversation with him on why he has the hat or what he ACTUALLY thinks about the hat? I feel like you have labeled the things you think about the hat with out having a honest conversation with him, then you put him on blast? Did anyone on this comment section even listen to Serwatuk’s side? This is poor journalism! You stopped a hat, pat yourself on the back. Someone give this man a trophy! Love live a free society where there is a diversity of thoughts and ideas! I’ve covered hundreds of Committee of Adjustment hearings, I’m familiar with Serwatuk and am able to judge him both upon his conduct during hundreds of hearings, and from his other political involvements. He displayed the hat clearly on the table, when it became clear the hat was drawing the attention of the room, it continued to be displayed. 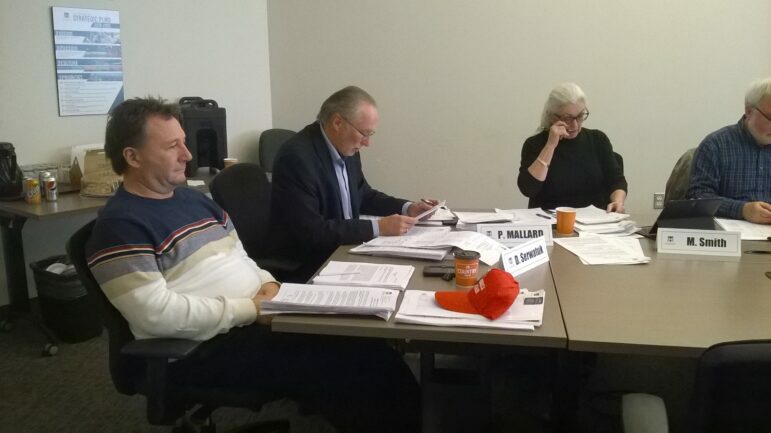 Others in the room – who cannot comment on the record because they appear in front of Serwatuk on applications – stated they felt he was proudly displaying the hat. The issue here is not the expression itself, it is that a quasi-judicial official was engaged in a political display while conducting hearings. This is not a matter of freedom being infringed, Serwatuk is free to express himself when not voluntarily engaged as a quasi-judicial official of the state. Thank you for your comment and the opportunity to clarify. Re: the above post. If you read the sign, do you have to interview the sign painter? C’mon, anyone with a Trump message displayed is advocating for a racist, bigoted, misogynistic, tax-evading, carelessly hurtful man. This free society, of which you are part, condemns all those traits. And if he wasn’t half-assed proud of his viewpoint, he would have left the hat in his vehicle. Just sayin’.